Laska | Siberian Husky in Montreal. 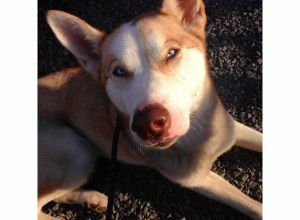 Laska is a very energetic 5 year old husky. She is relatively well trained, but can pull sometimes when she sees another dog. she is friendly with other dogs, but I would ask that you avoid dog parks as her energy can sometimes be taken the wrong way with dogs that she doesn't know.